Commissioners find substantial issues with CenterCal’s Waterfront proposal. SAN DIEGO — A proposal to drastically revitalize Redondo Beach’s King Harbor waterfront might not be consistent with public access policies and a Local Coastal Program, according to a determination made by the California Coastal Commission during its May meetings in San Diego. Opponents of CenterCal’s “The Waterfront” project successfully appealed plans to update a portion of the Redondo Beach coast. The appeal came about two months after a majority of the city’s voters approved a ballot initiative challenging CenterCal’s plans. Coastal Commission staff identified several issues where CenterCal’s plans might be deficient, including specifications for a boat launch ramp, lower cost visitor serving venues, parking, public access and view corridors. The deficiencies and proposals of CenterCal’s Waterfront project, according to Coastal Commission staff, raises issues of local, regional or statewide significance. “[King Harbor] represents just 1 of 5 harbors in L.A. County and there are very few public harbors regionally in southern California. 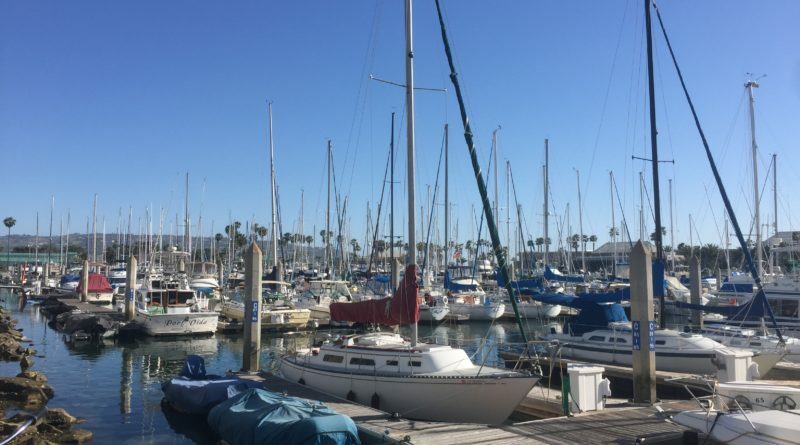 Additionally, the Harbor offers unique coastal recreation opportunities such as on and offshore fishing, paddle boarding, kayaking and canoe hand-launch locations, and visitors come from all over the region for harbor access,” Coastal Commission staff stated. “The harbor and its public access, visitor-serving amenities, and other resources are therefore regionally significant. “Without proper protections in place for these unique elements of the harbor, the project’s redevelopment of the harbor may set a regional or statewide precedent regarding the extent to which a jurisdiction may prioritize commercial uses over public recreational, coastal-dependent uses,” Coastal Commission staff continued. Commissioners, after hearing a detailed staff report, quickly acknowledged substantive issues were found in the Waterfront project and agreed to consider challenges to CenterCal’s plans. The commission’s action comes after tensions surrounding the Waterfront project reached a boiling point in recent months. CenterCal appeared to pick up momentum for its ambitious proposal to revitalize the King Harbor waterfront in late 2015. The El Segundo-based developer, however, received pushback from a local grassroots organization (Rescue Our Waterfront, or ROW), with opponents arguing the Waterfront project was too big for Redondo Beach. City Council members approved plans to revitalize Redondo Beach’s waterfront despite concerns surrounding parking, traffic and a boat launch ramp. Boaters navigating out of King Harbor have been without a boat launch ramp of any kind since the venue was built. Pushback on the Waterfront project reached a tipping point in August 2016, when the Redondo Beach Harbor Commission recommended approval of the revitalization’s Environmental Impact Report, or EIR. A local resident immediately appealed the EIR, but City Council members supported the Harbor Commission’s recommendations in an October 2016 vote. ROW, around the same time, formally petitioned county officials to have an initiative placed on the Redondo Beach ballot. The initiative, through signed petitions, ultimately garnered enough support to be voted on by Redondo Beach voters in March. Measure C, as the ballot initiative was labeled, was overwhelming approved by voters. The ROW initiative – also known as the King Harbor CARE Act – aimed to halt construction of CenterCal’s Waterfront project. Supporters of the initiative argued the Waterfront project was not consistent with Redondo Beach’s zoning ordinances and therefore should not be built as proposed. CenterCal, conversely, responded building any project to ROW’s specific requests would not be economically profitable or viable. The developer subsequently sued Redondo Beach shortly after Measure C was approved; the suit reportedly claimed Measure C was not constitutional or legal. CenterCal’s lawsuit sought $14 million in damages, according to news reports. The Waterfront project proposed to demolish nearly 200,000 square feet of existing commercial and office structures, replacing them with more than 500,000 square feet of buildings. Upgrades were also to be made to the local fishing pier, parking amenities and swimming lagoon. As many as 60 boat slips would also be upgraded under CenterCal’s plans. Formal budget estimates pegged the project’s price tag in the $300-$400 million range. Opponents of the project formally claimed the Waterfront project was too large as it exceeded development caps. Other complaints focused on the removal of recreational boating slips, the project’s potentially negative effect on public coastal views, a lack of enhanced or expanded coastal dependent land uses and whether plans sufficiently included lower cost overnight accommodations. Plans to build a hotel as part of the Waterfront project were approved by Redondo Beach’s City Council, however the overnight accommodations venue did not provide lower cost options, according to Coastal Commission staff. California’s Coastal Act requires lower cost overnight accommodations to be offered by hotels. “The city’s records do not indicate whether or not a feasibility study was submitted prior to the approval of the hotel. The feasibility study would indicate if it is feasible to provide lower cost accommodations onsite, or offer a portion of the rooms at a lower cost rate. This raises a substantial issue,” Coastal Commission staff stated. Commissioners could deliver a final ruling on the issues by the end of this year or in early 2018.
environmental issues and claims she is always exempt!